Valid at all Sangeetha stores in Varanasi. 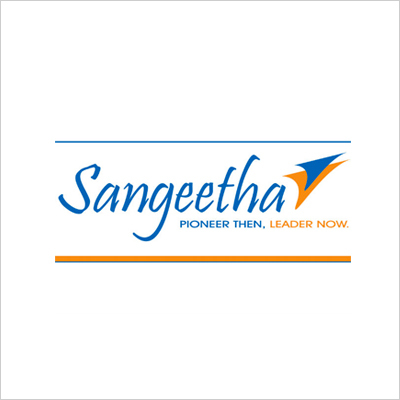 Sangeetha Mobiles Pvt. Ltd. is South India's leading multi-brand retail chain dealing in international and Indian brands of mobile handsets and mobiles accessories. Headquartered in Bengaluru, the company has stores in 6 states including most of the districts in Karnataka, Telangana, Andhra Pradesh and Tamil Nadu. 2. Valid at all Sangeetha stores in Varanasi. 3. Valid for 15 days. 4. The voucher cannot be revalidated once expired. 6. Multiple items can be purchased using this voucher. 7. The voucher can't be canceled at any circumstances. 8. The voucher cannot be transferred/utilized on any other name apart from the account holder. 9. Merchant reserves its right to add, alter, modify, change or vary any of the terms and conditions at any point of time without assigning any reason or any intimation whatsoever. 10. Any dispute needs to be referred to the Company and the decision of the company shall be final. 11. Users who have not undergone Paytm KYC will not receive cashback in their wallets but will be entitled for goldback. Visit the Sangeetha store to redeem the offer. 1. You will get a Paytm Shopping Mall Voucher worth Rs.300. 2. The code is only valid on Paytm Mall app. 3. The code is not valid on FMCG category & Gold coin. 4. The minimum purchase amount should be Rs.600. 5. The code is valid for 30 days. 4. The minimum cart value is Rs.200. 1. You will get a Paytm Bus Voucher worth Rs.100. 2. Applicable on booking of 1 or more Bus tickets (in a single transaction) through Paytm App/Website. 4. Maximum additional cashback availed per customer will be Rs 2000 during the offer period (8th April 2019 to 31st May 2019). 5. Minimum order value should be equal to or more than Rs.15000 (Minimum spend on ICICI Credit card of Rs.15000) to qualify for additional cashback of 5% ( Maximum of Rs. 2000/customer). 6. This offer is valid on Credit cards EMI schemes as well. 7. Additional 5% Cashback ( Maximum of Rs. 2000/customer) will be credited in customers' ICICI Bank Credit Card on or before 31st August 2019. 8. This offer is not valid on Credit Cards issued by ICICI Bank but powered by American Express. Also, the offer is not valid on corporate, commercial cards issued by the Bank. 9. The offer is only valid on purchase of this voucher.